Adventures on the Armendaris /Hawks Aloft Inc. This summer the Hawks Aloft team was granted nearly unlimited access to the expansive Armendaris Ranch owned by Ted Turner. 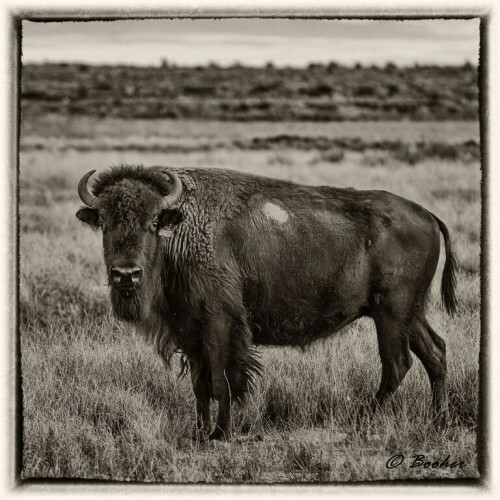 The ranch itself stretches from Truth or Consequences in the south all the way to Bosque del Apache, encompassing a whole mountain range and thousands of acres of habitat for all kinds of wildlife. But we came for the bats. The Armendaris Ranch plays host to many lava tubes, and those lava tubes are the home of a massive maternity colony of Mexican free tail bats. 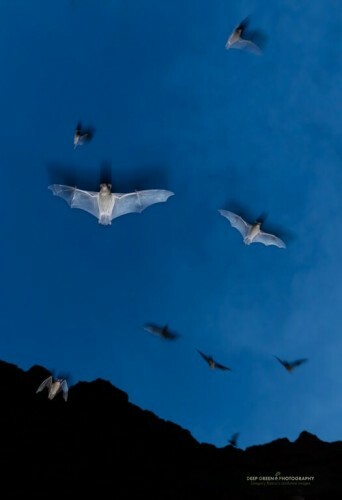 When these bats make their nightly departure from the tubes, they put on quite a show—namely, the second largest bat flight in North America. Braving a long, bumpy ride down many unmarked dirt roads, the staff and volunteers of Hawks Aloft finally made it to our home for the night, a patch of land near the opening of the tubes where we would be camping. As dusk settled over the landscape, the bats began their exit, and all throughout the night they continued. 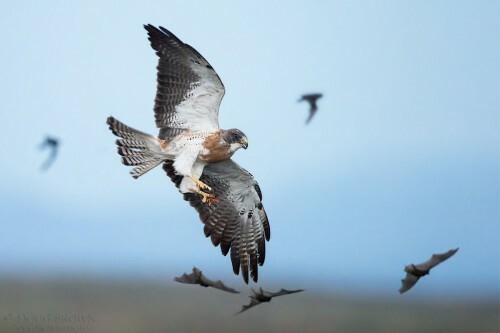 The impressive bat population in this area also means that there are a large number of raptors that feed on the bats, like Swainson’s Hawks. 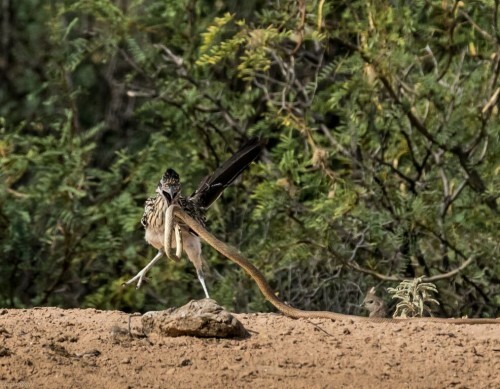 There was plenty of life on the ground, as well, including other birds like roadrunners and quail. 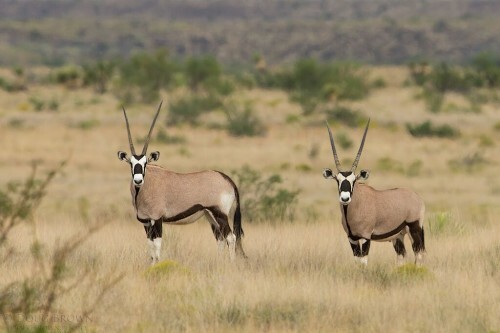 Unique mammals abound throughout the vast property. 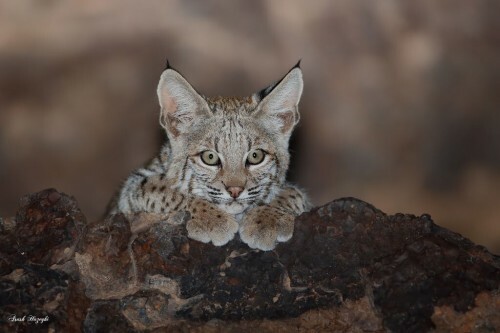 We were lucky enough to see oryx, bison, fox, and bobcats. In addition to the abundance of fauna on the Armendaris, there is a wealth of native plants including cottonwood, willow, and native grasses. 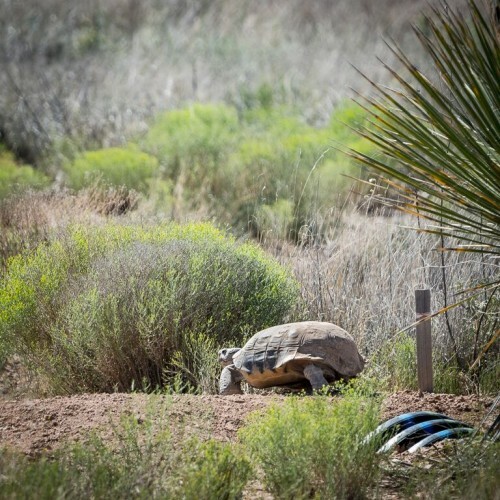 The untouched landscape provides a great habitat for threatened and endangered species, such as the bolson tortoise. The Armendaris Ranch is a fantastic example of what it means to be effective stewards of the land, and provided us with a great example of well managed New Mexican habitat.